Giving Tuesday is a national day of giving on the Tuesday after Thanksgiving–December 1 this year. We have two days for shopping deals–why not a day for giving back? Support Youth in Arts and other nonprofits and then use the #GivingTuesday hashtag to share who you support and why, and to encourage others to join you in the spirit of giving. We would be proud to be part of your Giving Tuesday at Youth in Arts. Your donations will support visual and performing arts for youth of all ages and abilities in the Bay Area. If you’d like to learn more about our most recent projects, check out our blog on this site. And don’t forget to share the love. Post on December 1 with the #GivingTuesday hashtag–share our youthinarts.org web address and let your friends and family know why you support creativity and arts learning for kids. 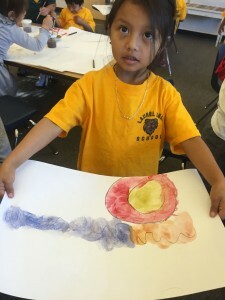 On behalf of Youth in Arts and the 20,000+ Bay Area PreK-12 students we serve, THANK YOU! Think a picture is worth a thousand words? Try an #UNselfie! Download our template and post to your social media channels.